Is it really necessary to transform just to light up the candle? :-? 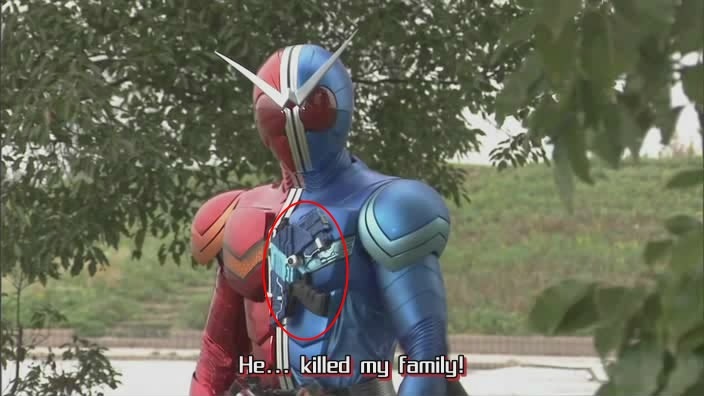 This entry was posted in Anime & Manga and tagged kamen rider w on May 14, 2010 by Khim Hoe. This episode of Kamen Rider W is so WTF that it is indescribable in words. Watch it yourself! This entry was posted in Anime & Manga and tagged kamen rider w on March 13, 2010 by Khim Hoe. Seriously… the way he keeps his gun is ridiculous! This entry was posted in Anime & Manga and tagged kamen rider w on February 10, 2010 by Khim Hoe.